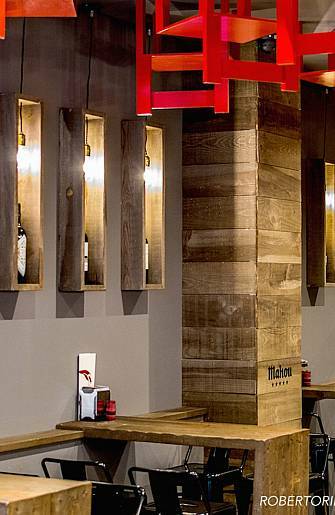 THE GRILL is a pure interior design. 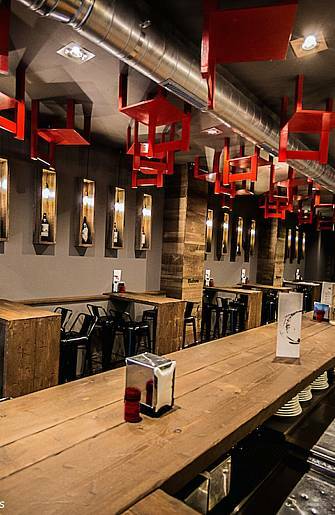 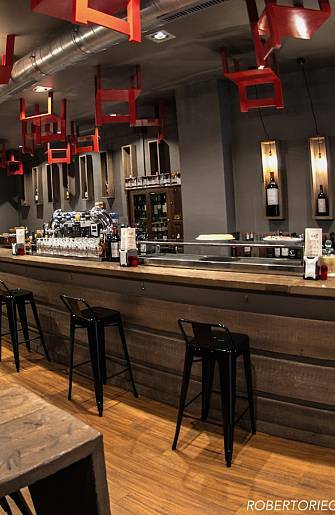 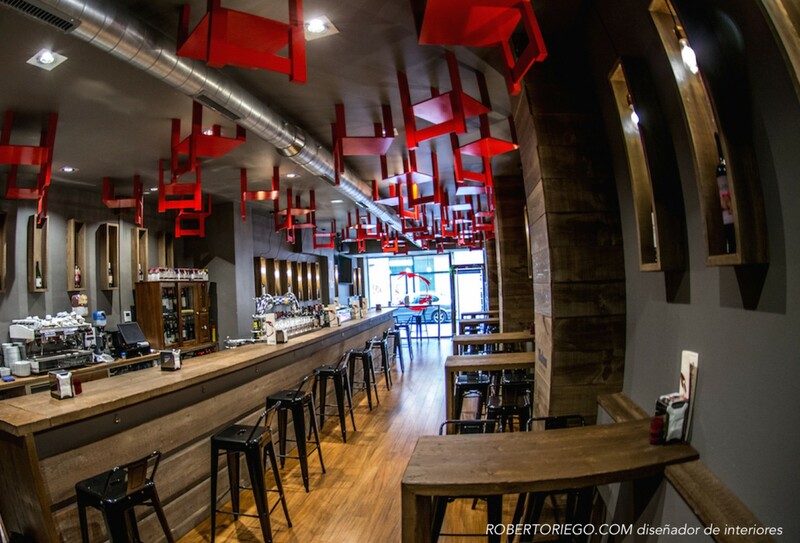 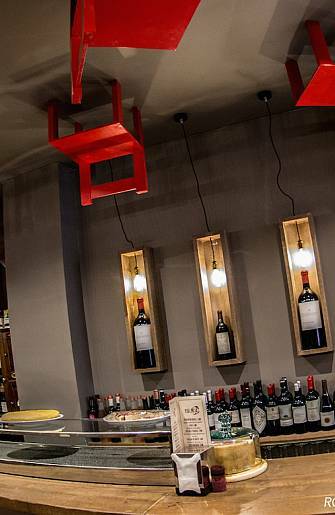 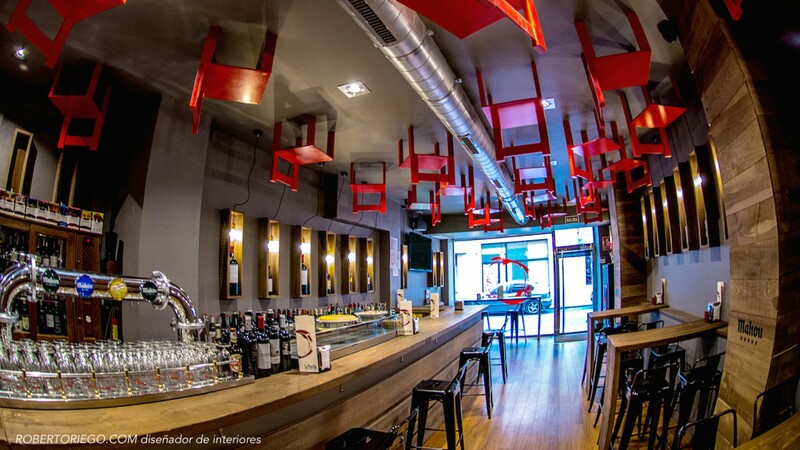 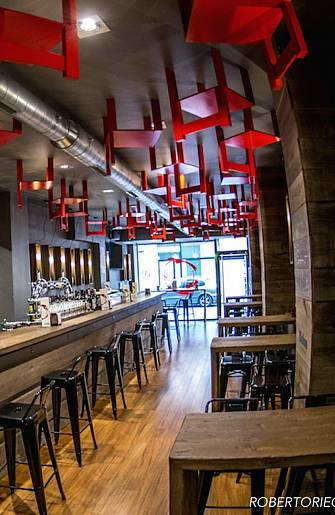 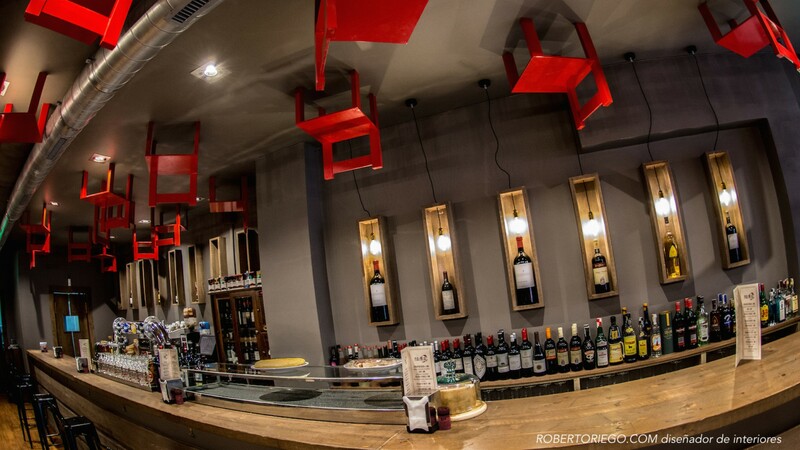 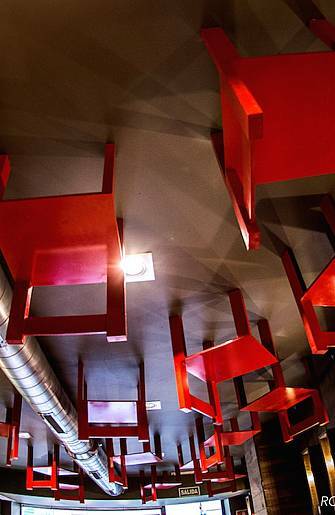 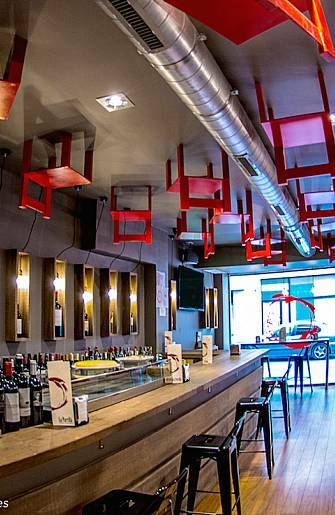 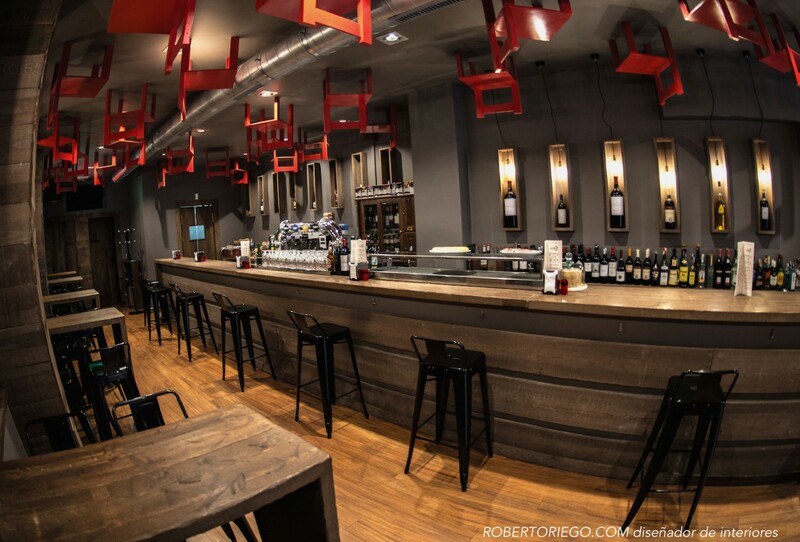 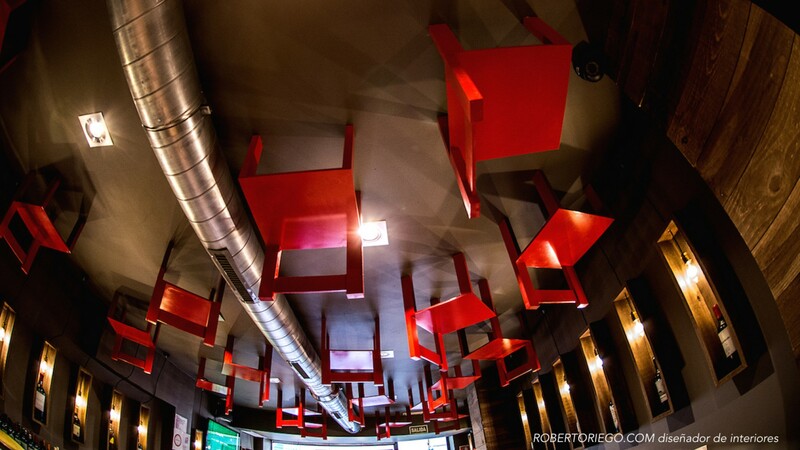 Where we put 39 chairs hanging from the ceiling to create a reflective atmosphere and surprise the customer. 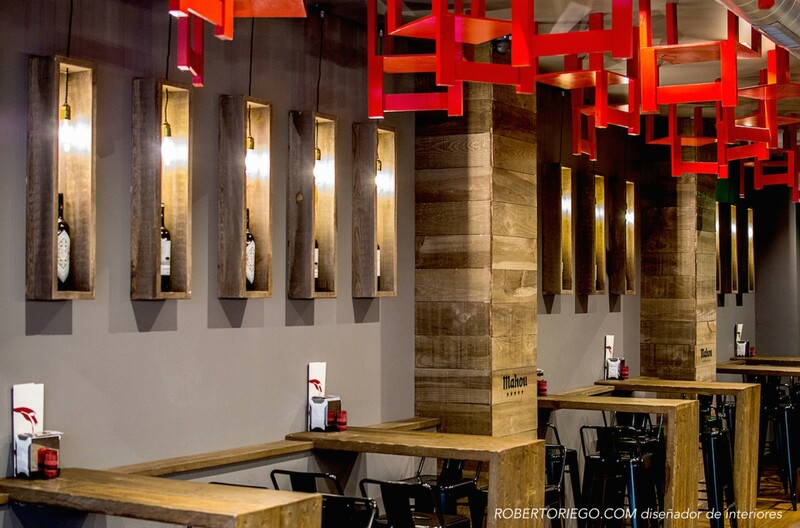 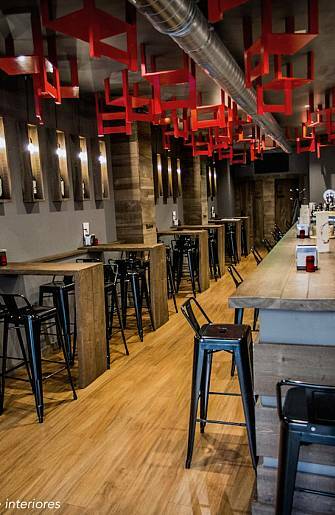 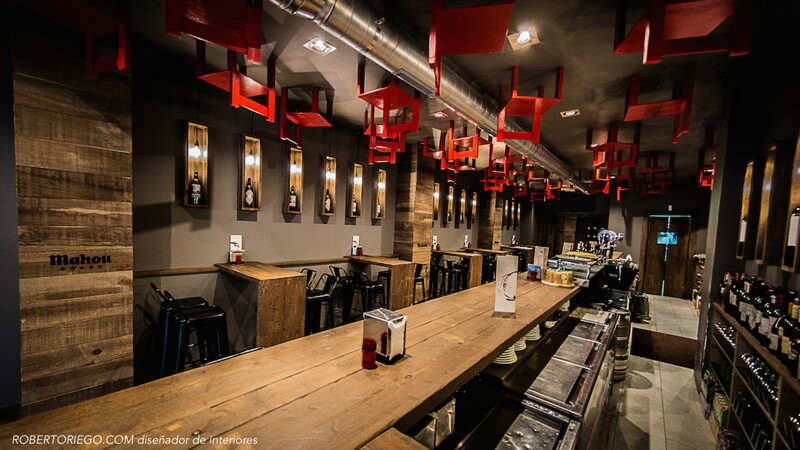 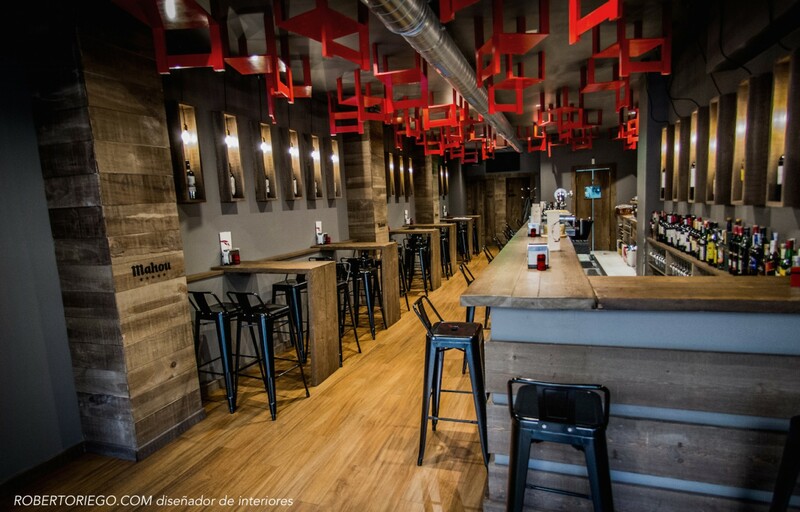 We use natural wood with black furniture and decoration in red.